Savour the rich flavour of aged lean meat. BLT Steak is an American-style steak restaurant with its flagship location in New York. 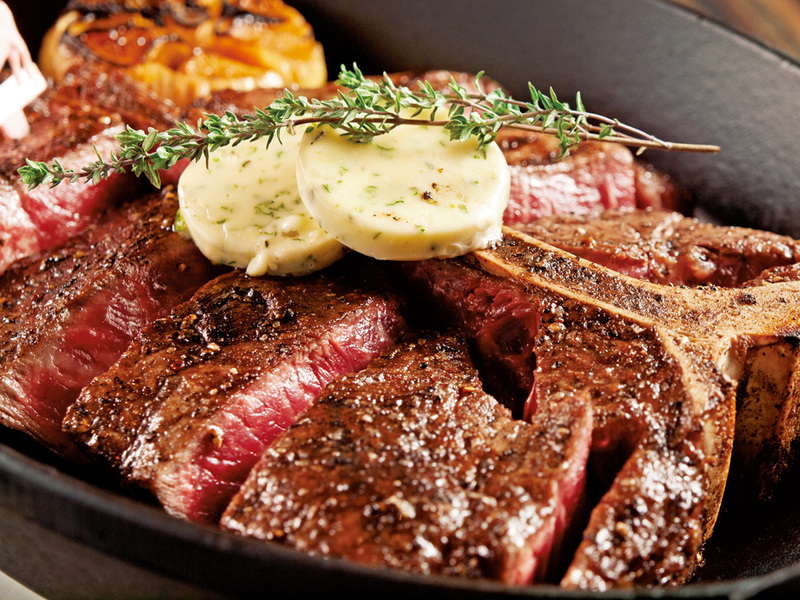 The specialty dish is the “dry-aged prime T-bone steak” which lets you enjoy both filet and sirloin of prime beef naturally aged for 28 days. When the meat is done rare, its deep flavor is brought out to its best. Make sure not to miss their other signature dish, warm popovers , a type of pastry grilled with Gruyere cheese.